It gives user configurable dashboards that provide a ‘single pane of glass’ view across your whole estate, including factors such as energy, temperature and humidity, door security, and leak detection. 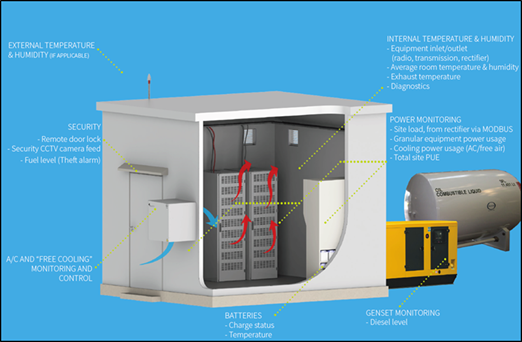 It can also act as a site’s Energy Management System (EMS), working alongside a Battery Storage System to allow demand response and peak shaving. If the room is outside, it can also utilise solar arrays to intelligently utilise renewable energy to power the equipment as well as charging the batteries for use at a later time. 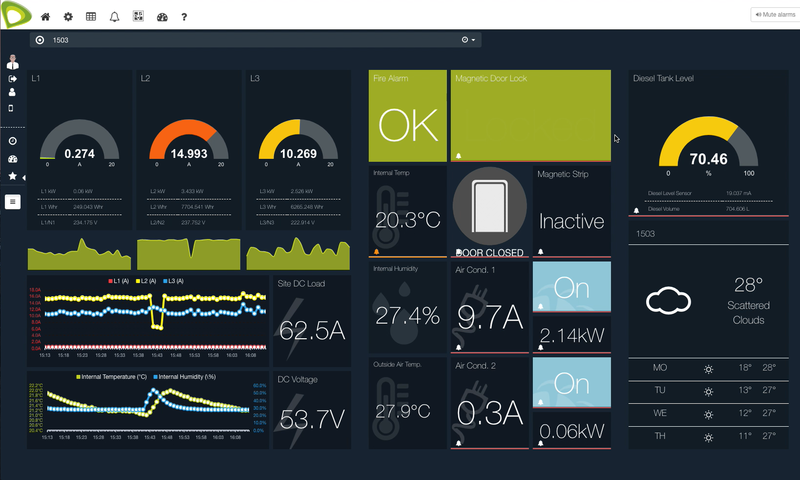 Values are stored and displayed every second to give a continuous, real time view of the equipment to allow condition monitoring and control, predictive maintenance and early warning of equipment failure. Pre-set and configurable, behavioural alarms allow real time/daily/weekly event logging, diagnostics and recording with a full audit trail.